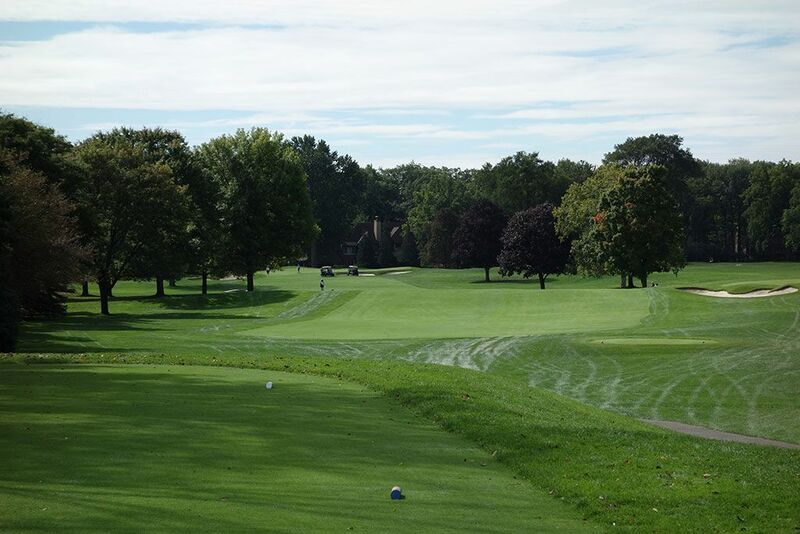 Course Website: Official Website - Visit Oakland Hills Country Club (South)'s official website by clicking on the link provided. 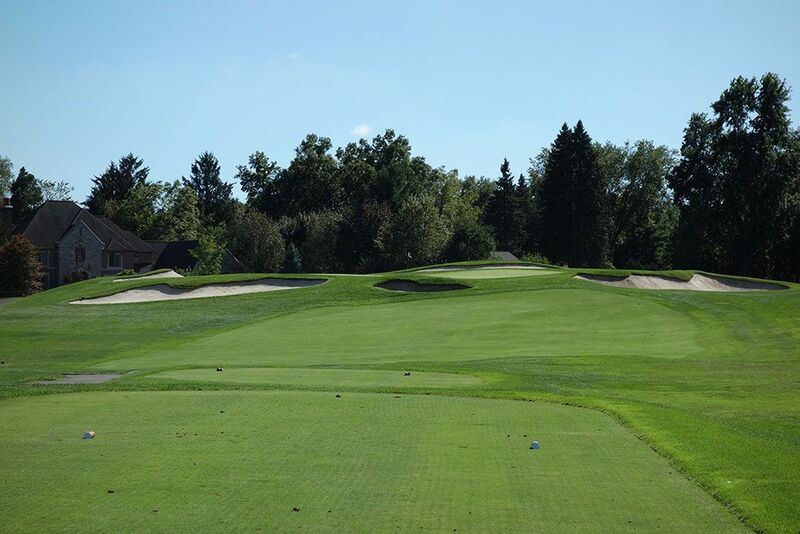 Accolades: Ranked 4th in Michigan on Golf Course Gurus' Best in State list. 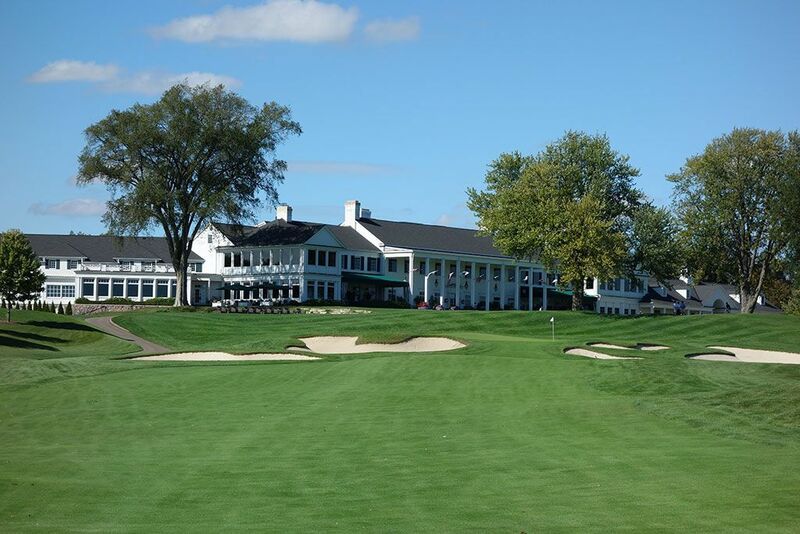 What to Expect: The South course at Oakland Hills is one of America's most revered parkland layouts which is evidenced by the multiple major championships that have been hosted by the "Monster." 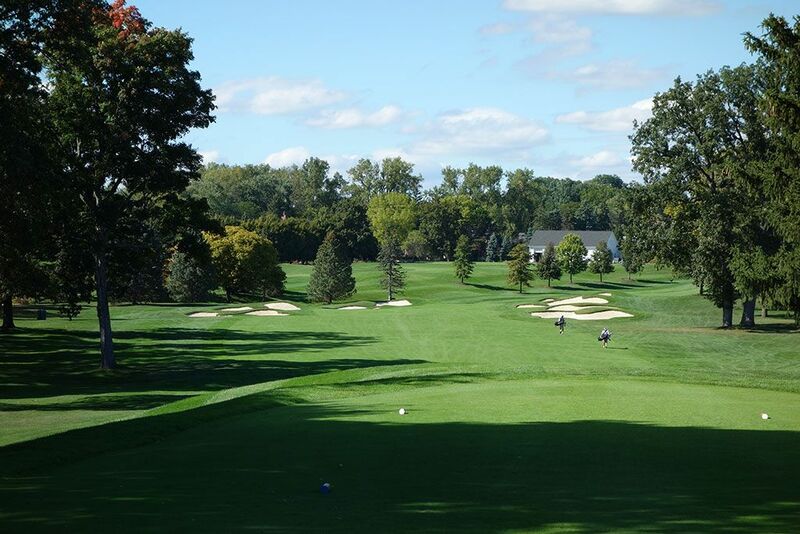 The course received its nickname from Ben Hogan during the 1951 U.S. Open where he tamed the Monster more successfully than anyone else in the field enroute to a victory. The trio of finishing holes are particularly impressive along with the best hole found on the property, the famous par four 11th. The 10th and 11th holes feature the most movement in the property while the rest of the layout has just gentle changes in elevation from tee to green. The course is heavily bunkered throughout and length is your best friend when taking on the Monster from the tips. The holes are framed by trees though they have been thinned out over the years to open up vistas across the course and promote healthier turf conditions. If your drive goes astray, you generally will have a chance to negotiate around any trees and make a play towards the green although the thickness of the rough can severely limit your creative options. 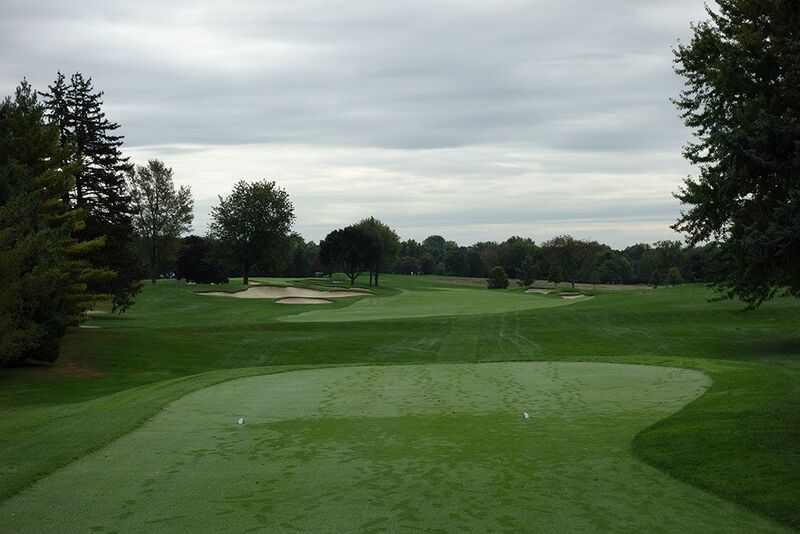 Like most championship courses, there are no surprises or tricked up features at Oakland Hills. It is meant to test every aspect of your game more so than entertain you and that is exactly what you get. Signature Hole: 16th Hole – 406 Yard Par 4 – The South course's signature hole is a hard dogleg right that bends around a pond to green that is framed on the left by a single bunker, protected in the rear by a pair of bunkers, and flanked on the right by water. From the back tee the hole doesn't begin doglegging until 300 yards out at which point it takes a 75 degree turn right and traverses the final 100 yards to the green. Players wanting to take the unnecessary risk of cutting over the pond will need to carry their ball at least 315 yards to see dry ground again and will only knock 30 yards off the hole. Players wanting to take the pond out of play altogether on their tee shot need to hit a sub-250 yard drive but then be faced with carrying more of the water on the approach shot. 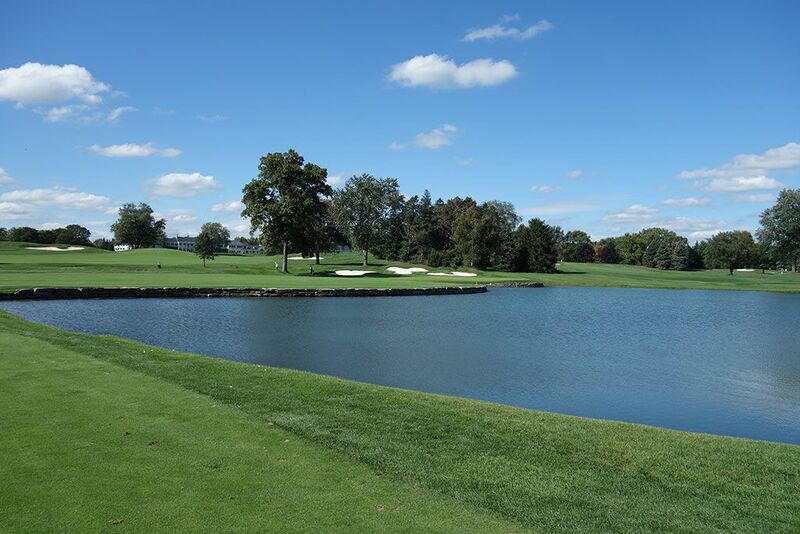 Best Par 3: 17th Hole – 238 Yards – In classic championship golf fashion, the last par three of the course is a brute from the back tee and demands players stayed dialed in through the end of the round. There is a gentle, but steady, rise from the tee to the green with the raised putting surface surrounded by five deep bunkers which prevents the player from seeing 80% of the green. The safest place to aim is at the right half of the green since the back of the left half of the green slopes away to the long rough and bunkers. 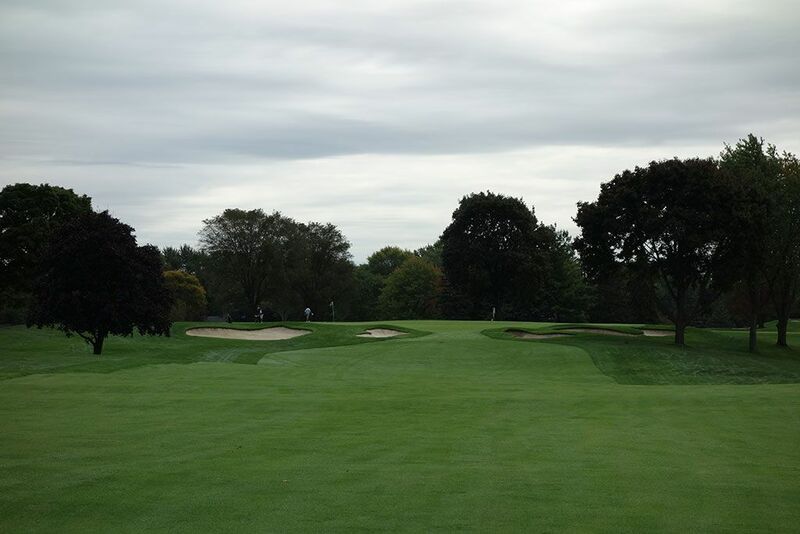 Players that aren't comfortable taken on a par three of this size may want to employ Billy Casper's strategy from the 1959 U.S. Open at Winged Foot where he laid up each day on the long par three 3rd and made par every time. Best Par 4: 11th Hole – 455 Yards – This is easily the best hole on the property and one of the best two-shotters in the country. The rolling fairway tumbles between tree covered hills with a single bunker protecting against lay up shots on the left side while a trio of bunkers loom in the driving zone on the right side of the fairway. 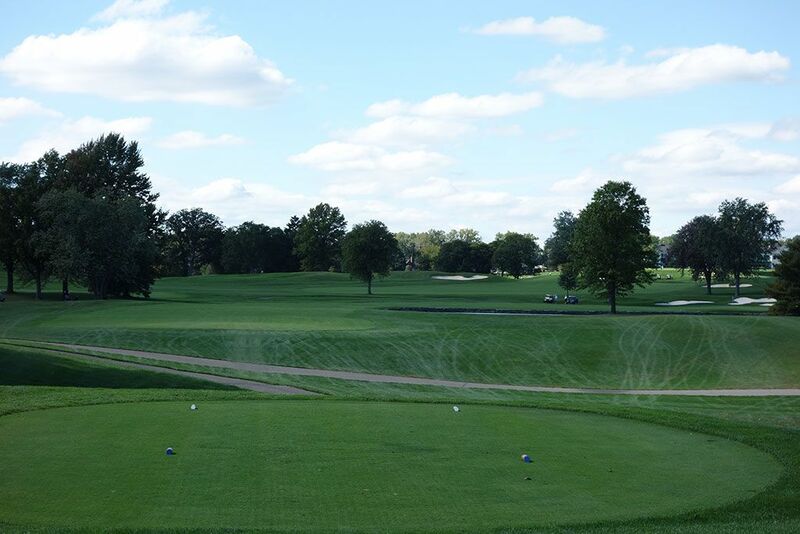 260 yards will get you into the first bunker on the right while over 300 yards is required to carry the entire trio. The fairway tightens to 28 yards next to the fairway bunkers which encourages long hitters to perhaps lay back with a 250 yard drive which offers twice the width of fairway to hit. From the fairway players are faced with an elevated approach shot to a green with a nasty false front and four bunkers protecting the front half of the putting surface. 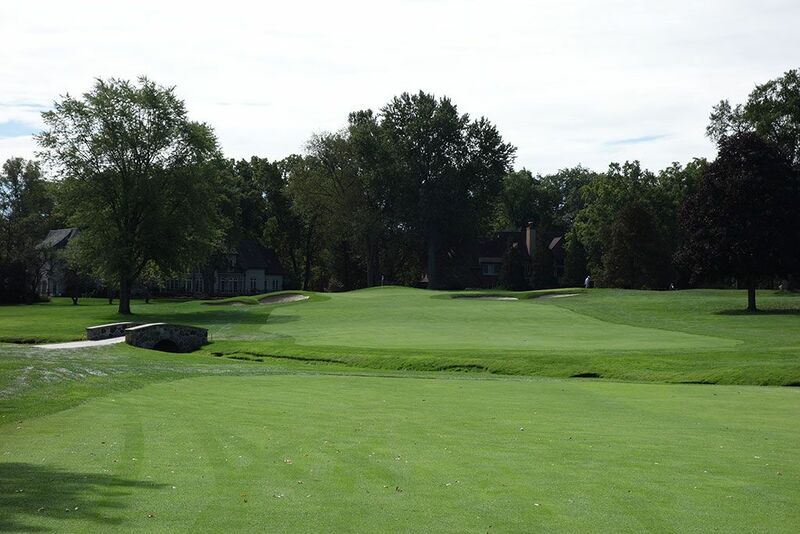 The front third of the green is a brutal little bowl where even three-foot birdie putts will have you hoping to walk away with a par due to the fear of putting off the green. The amphitheatre of trees behind the green provide an attractive background for this fantastic hole. Best Par 5: 2nd Hole – 529 Yards – A reachable par five that presents an opportunity to score well early in your round, the 2nd hole's biggest obstacle is getting off the box safely given the six bunkers that surround the driving zone. Players that find the fairway, particularly the left half, will have the green light to take a rip at the green and see if they can carry the four bunkers fronting the putting surface. The oval shaped green is pretty receptive so whether you are seeking an eagle putt or laying up, this is a hole to take advantage of. 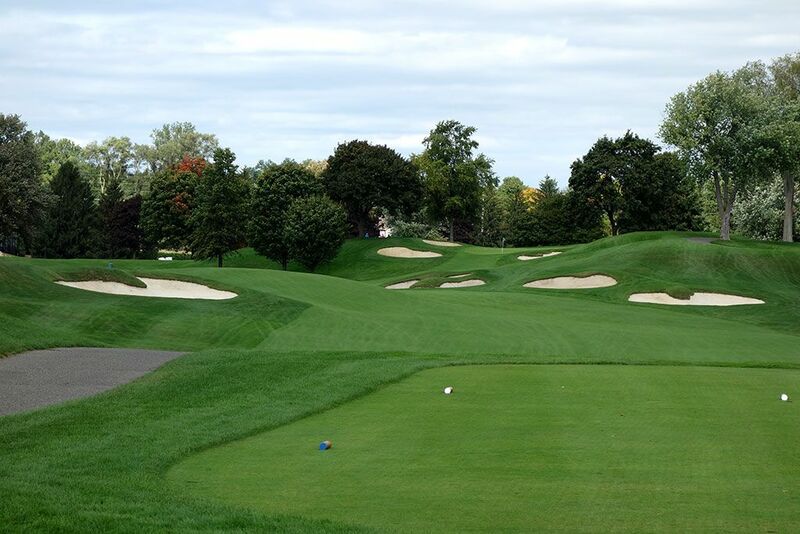 Birdie Time: 18th Hole – 498 Yard Par 5 – Major championship courses often have one or two holes that are marked as par fives for member play but are converted to par fours for tournaments and the closing hole at Oakland Hills' South course is one of them. For everyday play you should be licking your chops heading into this sub-500 yard par five that can be reached with a mid-to-long iron on the second shot. Seven bunkers huddle around the 250 - 330 yard landing zone from the back tee and five more bunkers are located up by the green, but the short length of this hole presents an excellent opportunity for a birdie if you hit the fairway with your tee shot. 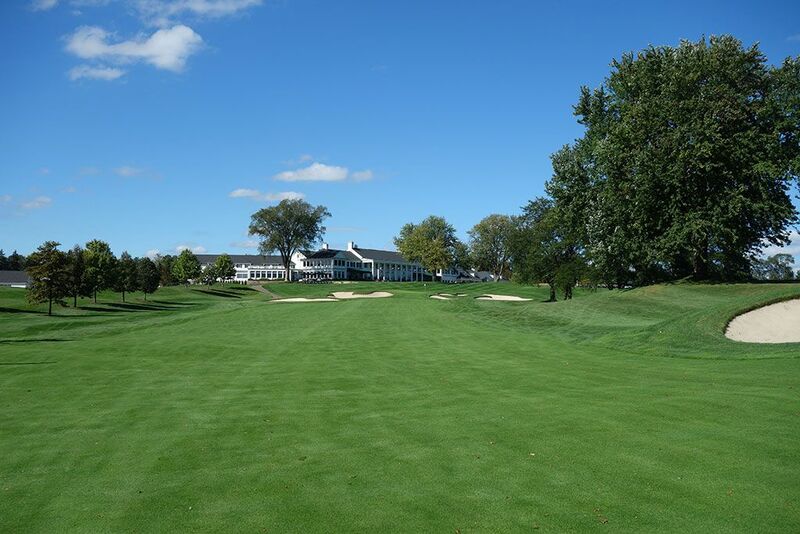 The slightly raised green rests against a small hillside below the palatial clubhouse that dominates the background with plenty of spectators frequently looking on. 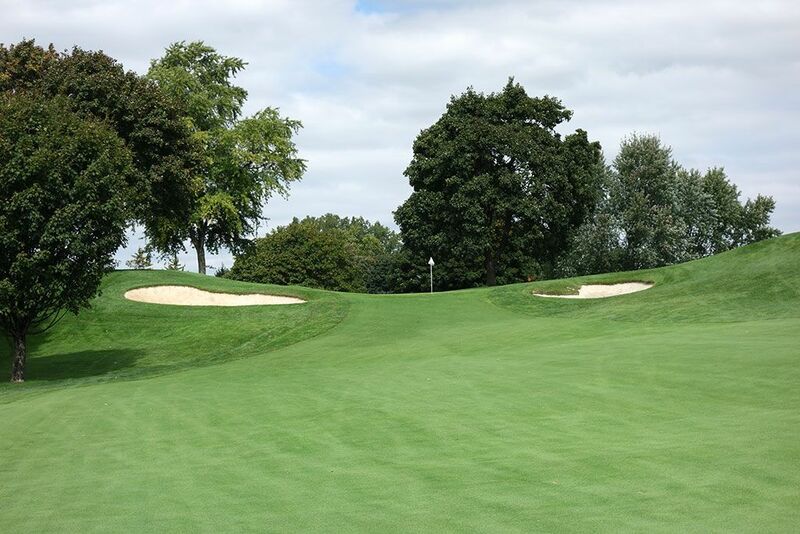 Bogey Beware: 5th Hole – 490 Yard Par 4 – Trees protect the left side and a trio of bunkers protect the right side of this long par four that will test your merit. This hole has been lengthened over time with the back tee box being located at the far northeast corner of the property and requiring a bomb of 350 yards to reach the creek that diagonally crosses the fairway. A ridge in the fairway will create an uphill or downhill lie depending on what side of it you get on which will increase the difficulty of hitting this dual bunker protected green in regulation. During the 2008 PGA Championship the field played this hole to a stroke average of 4.337 and it wasn't until Sunday that champion Padraig Harrington finally took a par on this beast.